Buy 100 or more for $3.32 each. 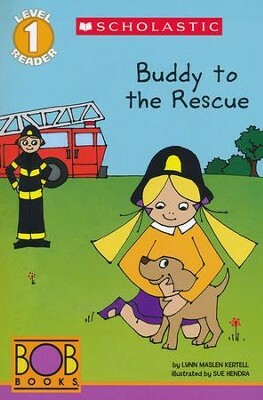 Buddy to the Rescue is a Scholastic Bob Books Level 1 Reader. Buddy wants a snack at the fair; can he earn his treat? This Level 1 reader features sight words, words to sound out, and simple sentences. 32 pages, softcover. Grades PreK-Grade 1. Sue Hendra has illustrated several children's books including Bob Books: Sight Words Kindergarten and First Grade. I'm the author/artist and I want to review BOB Books: Buddy to the Rescue (Level 1).